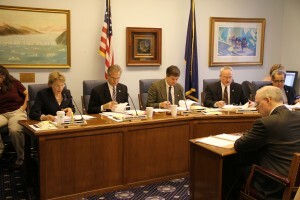 This week the Senate Finance Committee is reviewing the Governor’s FY2013 Capital Budget. In my role as Co-Chair of the Finance Committee, I am responsible for presiding over the Senate’s examination and revision of the budget. The Capital Budget appropriates money for one-time expenditures such as road, school, and port construction; and public works infrastructure. It is one of the most important policy documents the Legislature considers, and along with the Operating Budget, is the only bill the Legislature is required to pass during session. Capital spending stimulates private sector employment and has a tremendous impact on Alaska’s local economies. This year’s budget will be developed in a thorough, public-driven process. So far the Senate Finance Committee has held ten hearings on the capital budget, including a comprehensive vetting of individual departments’ funding requests. The Governor’s budget proposes spending over $2.2 billion. This is a substantial funding agenda, but there are several outstanding needs that the Senate will address. Since 2008, the Senate has chosen to save first, then spend, adding over $7 billion to state savings before capital expenditures. I have been a proponent of increasing state savings while ensuring Alaska’s needs are addressed. Responsible capital project spending can help grow the economy and provide jobs for Alaskans. The Senate will continue to focus on savings, infrastructure building, and a direct assault on our energy costs. I would like to remind all Alaskans to apply for the Permanent Fund Dividend (PFD). Applications can be completed online and are due March 31. When you apply online, you have the option to donate to the Alaskan non-profit organization(s) of your choice through Pick.Click.Give. Pick.Click.Give. is a safe and easy way to make a positive impact in the lives of fellow Alaskans. You can choose a contribution anywhere from $25 to the full amount of your dividend. If you do not have access to internet at home, you can apply online for your PFD at a Legislative Information Office (LIO). Locations of LIOs and contact information can be viewed here. Tags: PFD, Pick. Click. Give. U.S. 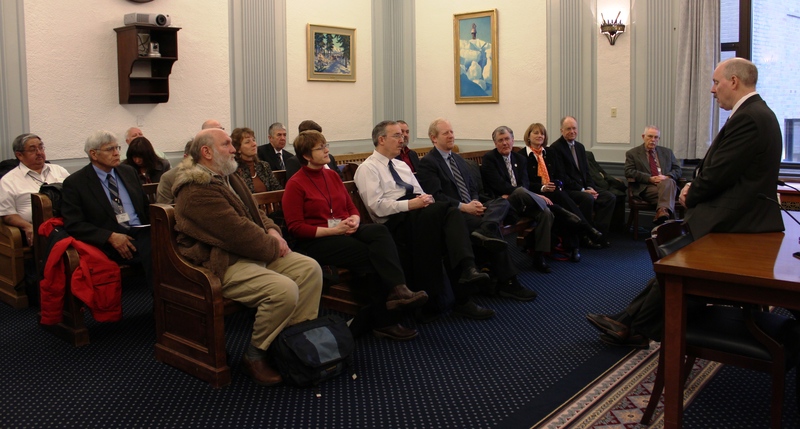 Senator Lisa Murkowski addressed a joint session of the State Legislature yesterday. I had the pleasure of escorting Senator Murkowski into the House Chamber. Senator Murkowski spoke on several issues of importance to Alaska and our nation. She emphasized the need to bring new oil production online, referring to the Trans-Alaska Pipeline as our state’s “lifeline.” Additionally, she expressed frustration that the U.S. Senate has not passed the bill that the U.S. House did earlier this month to open the coastal plain of the Arctic National Wildlife Refuge (ANWR) to oil exploration. I strongly agree with her. Opening of ANWR is too important to our state and nation to ignore any longer. Senator Murkowski also shares my concerns regarding the unacceptable high costs of energy in our state and voiced support for an increased role for the United States and Alaska in the Arctic. The Alaska Northern Waters Task Force, of which I serve as Vice-Chairman, recently published its findings calling for a greater role for our state in Arctic issues. This session I’ve sponsored legislation to continue the Legislature’s work advancing on Alaska’s interest in the Arctic by creating a commission to develop a strategic Arctic policy for the State of Alaska. I enjoyed seeing Senator Murkowski again in Juneau, and talking with her and her staff on issues of importance to our state. Coordination and communication between our state’s congressional delegation and the Legislature is critical to advance our state’s interests. You can watch video of Senator Murkowski’s address here. And you can listen to the press conference that followed her address here. Today I presented Senate Bill (SB) 178 to the Senate State Affairs Committee. I introduced this legislation as a Senate Finance Committee bill so the Legislature can have a serious discussion about how we manage the state’s savings accounts. High oil prices have provided the state a healthy budget surplus which is currently in excess of $15 billion (in addition to the $39 billion in the Permanent Fund account). This is a result of the Legislature’s prudent financial management of state finances. But looking toward the future, it’s important to ensure Alaska’s finances continue to stay strong by creating a fiscal framework that will protect our substantial savings from irresponsible spending. SB 178 would do just that by creating the Alaska Operating Endowment Fund as a depository for the state’s savings in order to generate revenue for the benefit of future generations of Alaskans. Once the Fund has been capitalized with the $15 billion from the state’s savings accounts, the Department of Revenue will manage and invest the fund in the same manner as the Alaska Permanent Fund Corporation. At the end of each fiscal year, the Department of Revenue will determine the average market value of the fund for the preceding three fiscal years. Once that amount is determined, an amount not to exceed four and one half percent may be available for General Fund appropriations by the Legislature. This will provide a steady stream of funding for the state far into the future that is not subject to the volatility of oil prices. It will also protect the state from overspending in years of surplus revenue and provide a cushion for years when the state is facing deficits. To read the bill and review supporting documents go here. This week, I was pleased to welcome to Juneau representatives from the Southeast community of Ketchikan. With around 13,500 residents, Ketchikan is the largest community in Senate District A, which I represent. The delegation made their annual visit to the capital to present the community’s legislative priorities to the administration and legislators. The “Community of Ketchikan” is comprised of three Ketchikan area local governments: the Ketchikan Gateway Borough, the City of Ketchikan, and the City of Saxman. During their visit, I met with City and Borough officials as well as representatives from non-profit organizations and businesses. 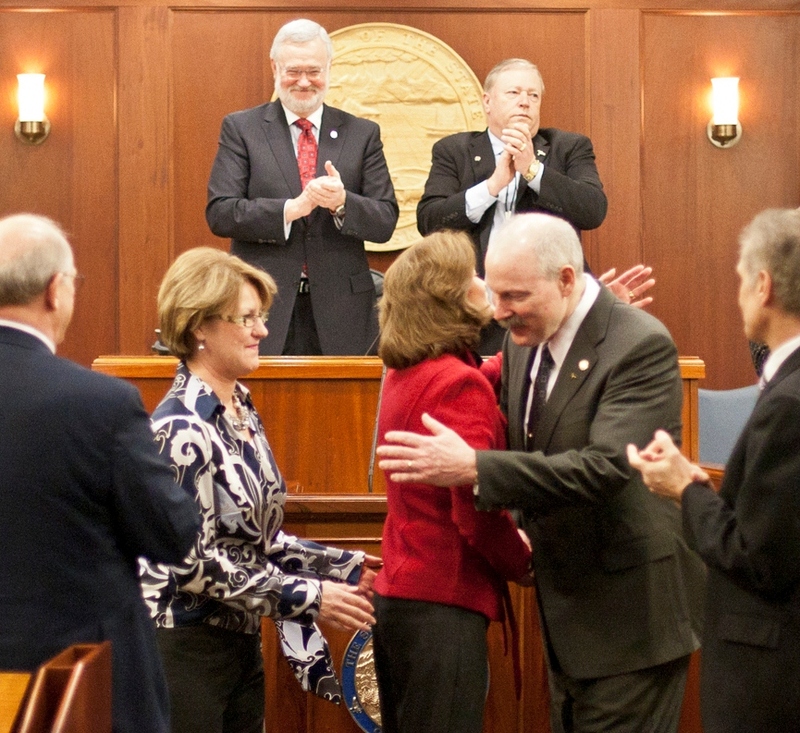 The annual Ketchikan visit is widely considered one of the best organized events of the legislative session. I would like to thank the Ketchikan delegation and the entire staff at the Prospector Hotel, where the legislative reception was held. Below is a photo of the delegation meeting with me at the Capitol.